Pesticides come in many shapes and forms. For all of the variety, however, you may find that you have the best luck getting rid of a roach infestation by using a tried and true product like boric acid. Boric acid has been available as a pesticide for nearly 60 years. It is also one of the highly recommended home remedy products that we have listed here. Before you use it in your home, you should learn more about its makeup, effectiveness, and application in killing and preventing roach infestations. Boric acid is created from a combination of water and boron, a chemical element that occurs naturally in the soil. When used properly, this combination can effectively kill cockroaches and numerous other pests like fleas, ants, sow bugs, and spiders. Have you ever wondered what does boric acid do to roaches? This substance kills cockroaches when it gets on the pests’ bodies and progressively makes its way through the nervous and digestive systems. Roaches naturally have slick, greasy exteriors that absorb substances with which they come into contact. When the outside of a roach’s body comes into contact with boric acid, it soaks in the powder and in essence poisons itself. Likewise, the acid sticks to the roach’s legs, arms, and other extremities. When it preens itself, the bug ingests the poison and starts the process by which it will eventually die. It is imperative that you use the powder in a manner that will invite roaches to walk through it rather than avoid it altogether. Many people make the mistake of layering the acid or applying too much of it in places where roaches are found. However, if a roach sees a pile of boric acid laying in the area in which it walks, it will avoid the powder simply because the pile is too much trouble through which to walk. When you want to poison roaches with this substance, it is important that you “puff” it out of a spray bottle (like those used for ketchup or mustard) and allow the powder to disperse itself in a fine layer. When the roach cannot see the substance on the surface, it is more likely to walk through it and be poisoned by it. How Long does Boric Acid Take to Kill roaches? Unlike roach sprays and other fast-acting pesticides, using boric acid for roaches takes a little bit more time to do its job. Some people become discouraged with the product because they think that it is not working or that the roaches are immune to it. However, it is very effective in killing cockroaches once it starts to work within the pests’ bodies. In most cases, it takes about three or four days before the poison soaks into a bug’s body and starts to break down the internal systems. Before that time, however, the roach may still be able to crawl around and act normally. Despite their ability to continue moving around, they are in fact absorbing and ingesting the poison. They are also taking it back to their nests and to the locations where they have laid their egg capsules. Even so, when people see roaches still crawling around after they applied the acid, they may become disheartened and stop using the substance. It is important that you realize, however, that it does take a few days for the product to work and that within a week’s time you should see fewer roaches making their way in and around the treated area. You can speed up the process of killing them by restricting their movement with caulk or another type of sealant. By caulking in the corners and crevices where you put the powder, you can hasten the time that it takes the substance to kill the pests. You can also ensure that boric acid does its job in and around your home by using the product correctly. As noted, many people make the mistake of applying too much of it, expecting these generous amounts to be the ideal way to kill roaches in your home. However, these pests do not like to be impeded by any physical barrier during their hunt for food, places to hide, or mating. A pile of powder will deter them from walking through it, and instead, they will go around it. The best way to apply the poison involves using a bottle that is filled half full of the acid and then “puffing” the powder lightly over the area you want to treat. It is important that you shake the bottle prior to spraying the powder onto the surface. Shaking it, along with making sure the bottle is half empty, allows enough air to enter and create the “puff” effect you need for a good application. It is also important that you apply it to the corners, crevices, and cracks in your walls, floor, cupboards, and other common places where roaches like to hide. Simply applying it to a broad area out in the open will not be enough to kill the infestation in your home. You must ensure that it is applied to all areas of the home where you have seen these bugs and suspect them to be hiding or laying eggs. You may be tempted to use a spoon or scoop to put the acid in the corners and crevices. Again, this could create the clumping or piling that roaches will go out of their way to avoid. Instead, you should aim the nozzle of the bottle at the corners, crevices, and cracks and lightly squeeze some of the powder into those areas. If any residue gets on the counters or areas where food is prepared, you should immediately wipe it up with soap and water. Is Boric Acid Safe for Pets (Cats, Dogs) and Humans? As toxic as this poison is to roaches, it is remarkably low in toxicity for pets and humans. Scientific studies have shown that boric acid has no carcinogenic effect on humans or animals like cats and dogs. It is also safe to be around in low doses; however, as a precaution, nursing and breastfeeding women are advised to avoid it entirely. Likewise, if the acid comes into contact with your eyes, it can cause irritation and burning. If you accidentally get it on your skin or eyes, you should flush it out with clear water. If you ingest it by accident, you should contact your local poison control center. if you come into contact with the residue. It is also important that you keep it away from areas where you prepare food. If it lands on the counters while you are treating your kitchen, you should use diluted bleach or a mild soap and warm water to clean it up quickly. Likewise, you should avoid using it in the same area where you feed your pets. Unfortunately, roaches like to eat pet food and will frequent an area where pet food dishes are located. You may need to find a new place to feed your cats and dogs during the time that you are treating your house. If you do ingest or breathe in a small amount of boric acid, you can take comfort in knowing that it is low in toxicity and that it generally passes through your body in as few as four days. Your body will flush it out with your urine. If you feel uncomfortable, seek medical attention, just to be safe. Is Boric Acid the Same as Borax? 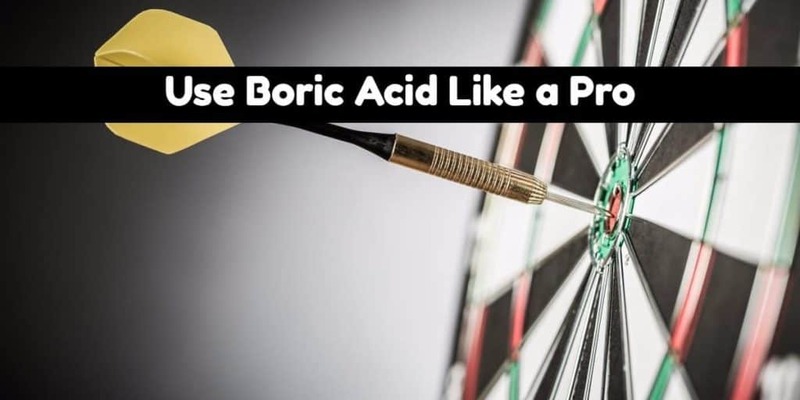 As you research boric acid, you may wonder if it is the same thing as borax. Boric acid and borax are actually very similar to each other. Both are derived from boron, and both can be used as pesticides. However, borax can also be used as a fungicide to kill mold, mildew, and plant lice. It likewise has chemical qualities that make it ideal to use in a number of common household and personal care items. It also is used in the making of gel or slime toys like Flarp or silly putty. When it is used in such common, everyday products, borax poses little to no risk to people who come into contact with it. It is combined with other ingredients that neutralize its toxicity. By itself, however, borax can affect your health and, if ingested in great quantities, will contribute to the onset of illnesses like lung and breast cancer. It also has been linked to hormonal imbalances and infertility. Because of its toxicity, borax should be used with caution and ideally combined with other neutralizing ingredients like those used in detergent, soap, and other common products. You should also ensure that any product that contains borax should be used according to the package or bottle directions. It likewise should not be applied to broken skin or open wounds. Boric acid for roaches can be found and purchased easily today. You can find it at most hardware stores as well as big-box retailers, home improvement stores, and even natural food stores. 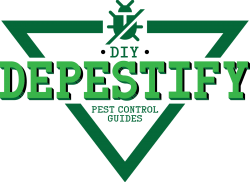 It likewise can be purchased online from a variety of websites dedicated to pest control or do-it-yourself home remedies. When you buy boric acid, however, it is important that you purchase it from a reputable retailer and that you ensure that the package or bottle has not been tampered with or opened. You also are encouraged to use the product as directed on the packaging to avoid ingesting it. Pesticides come in many varieties today. When you want one that is readily available, effective in its ability to kill cockroaches, and also low in price, you may consider using boric acid. You can use it properly and safely by learning about its chemical composition and proper application. Back when we could afford the pros, they told us that the problem would cycle; that it would get worse before it gets better, and then worse again and then better again. He said it would happen a few times, bc while the active adults are dying, their eggs already laid hatch later, and then repeat until the colony dwindles to nothing. -vacuuming and sweeping daily, etc, we have seen great strides in tackling our roach infestation (we bought a used appliance, and we think that’s where they came from). I can’t tell ya how much I have appreciated this website. So informative. Dry dog food? Or wet?